Here are some fun piggy facts! - Guinea Pigs have 20 teeth! - Females are known as sows and males as boars. - Their hearts beat around 240-250 beats per minute. - They have open-rooted teeth meaning the continuously grow. - The gestation period can be anywhere from 59-72 days. - Babies are born with eyes open and are walking within minutes. 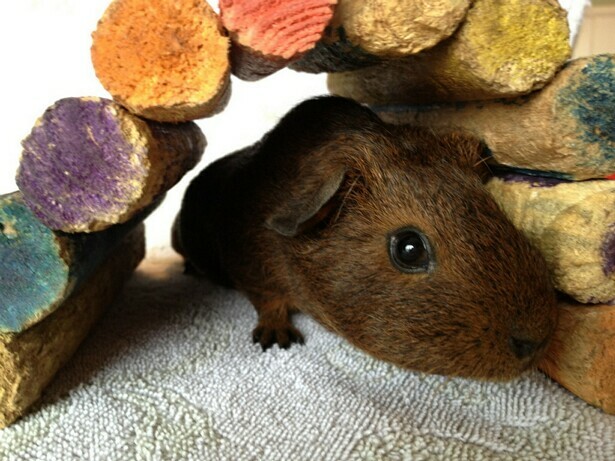 - Guinea pigs are very vocal making noises like purring, wheeking, rumbling and chirping! - The world's oldest guinea pig was 14! - Guinea pigs have very poor eyesight, but great hearing and smell. - Despite their name, guinea pig are in no way related to a pig. - Their eyes secrete a milky substance used to clean their faces. - They do not produce vitamin c themselves, but obtain it from their food. - They typically have 2-5 pups in a litter. 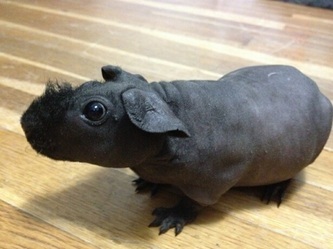 - If a skinny pig & a baldwin were bred, all the pups would be hairless! 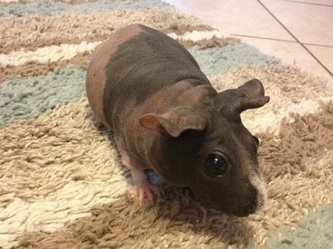 - Hairless guinea pigs eat slightly more to maintain their body heat.